ALBANY, Minn. (CNS) — Agnes Imdieke awakened the morning of Sept. 3 in her apartment on the outskirts of Albany and got ready for the day. 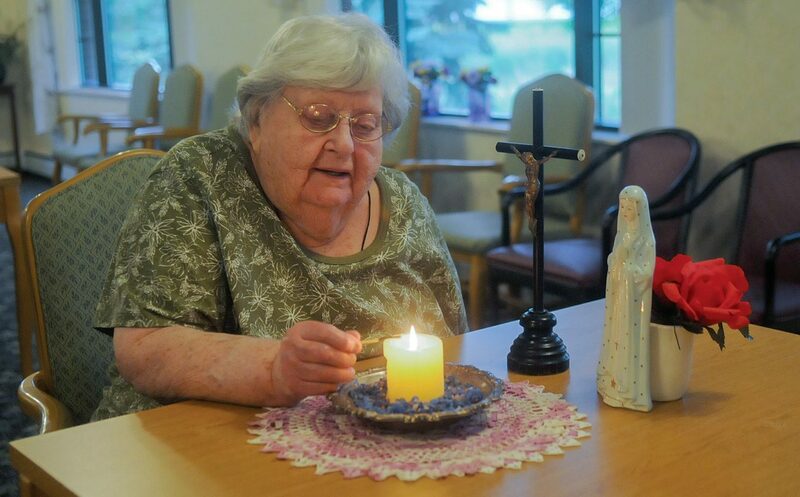 As she did every day, she lit a candle and said a prayer for the safe return of Jacob Wetterling. It’s a ritual she set aside time for each morning for the past 27 years since the 11-year-old boy was abducted from a rural area near his hometown of St. Joseph Oct. 22, 1989. Later that day, Agnes learned that Jacob’s remains had been found in a remote area near Paynesville. Danny Heinrich confessed to his kidnapping and murder during a hearing Sept. 6 in a Minneapolis courtroom, having earlier led authorities to the boy’s body. Now, Imdieke’s prayers have a different focus: bittersweet gratitude that Jacob was finally found and returned to his family, and for healing for everyone touched by his death, especially his mother, Patty Wetterling. Her commitment to pray for Jacob gained strength thanks to her late mother, Fredericka. On Oct. 21, 1990, Agnes and her sister, Benedictine Sister Alice Imdieke, were talking with their mother, whose health was failing at the time. They asked her if there was anything she would wish or hoped for. She told them she hoped that Jacob would be found and returned to his family. Fredericka died the next day — on the first anniversary of Jacob’s abduction. “Mom always prayed for him,” Agnes told The Visitor, newspaper of the Diocese of St. Cloud, Minnesota. Like so many others, Fredericka had been deeply affected by Jacob’s disappearance and had been following the news coverage in the months that followed. The dedication of Agnes and others who have been praying for Jacob is a powerful witness of how faith can unite others, Sister Alice said. Like many in the community, Sister Alice is feeling mixed emotions. In the back of her mind, she remained hopeful that Jacob would make it home alive. — Play with your children. Towalski is a multimedia reporter for The Visitor, newspaper of the Diocese of St. Cloud.